Academy at Ivy Ridge is located on 237 acres in upper New York state along the St. Lawrence River, not far from the Adirondack Mountains. This school is housed on a former junior college campus, with plenty of dormitories, classrooms, a computer center and science labs, and plenty of recreational areas for the students. As students work with the outstanding academic curriculum, they are also taught how to respect authority and follow rules as well as learning how to feel good about themselves and interact appropriately with peers and staff. Although the Academy at Ivy Ridge is situated in a fairly remote location, it is easily accessible from many major cities in northeastern and midwestern United States as well as eastern Canada. 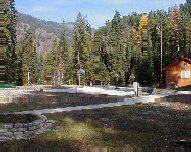 Spring Creek Lodge Academy is located on 50 acres of prime forest land in Western Montana. 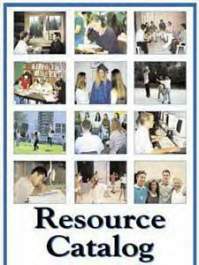 Amidst the gorgeous mountain setting of Montana, teens participate in a powerfully impacting intervention that includes an effective behavior modification program with a structured daily schedule, a series of highly motivational emotional growth seminars and workshops, and a highly progressive academic program. Spring Creek Lodge also offers a program called Camas Ranch for 18-year-old young men, which is a 3000-acre working ranch with bison and cattle. Carolina Springs is located on a beautiful southern-style campus in South Carolina, about one hour from Greenville, Columbia or Augusta, Georgia. Students at Carolina Springs experience a mixture of Old South courtliness, European heritage and American nostalgia, while learning integrity, honor and respect for authority. The Cross Creek Programs are located in Southern Utah's Color Country, near Zion National Park and include Cross Creek Manor for Girls, Cross Creek Center for Boys, and Cross Creek Academy for At-Risk Teens. All three programs are for children who are of junior high or high school age and include accredited academics instruction as well as therapy sessions, behavior modification, and personal development. Special Education teachers are on staff to help design an appropriate course of study for students who have special needs. Participation in early admission and dual-credit programs is available in cooperation with local and post-secondary institutions. Arrangements for preparation and completion of ACT and SAT testing are available through Browning Academy in conjunction with our local colleges and universities. Some insurance programs may cover certain tuition expenses at one or more of the Cross Creek Programs. Midwest Academy is located on 70 acres just north of Keokuk, Iowa in a self-contained two-story building that includes dormitories, classrooms, a gymnasium and recreational areas. The academy is located within hours of major cities like Chicago, Illinois as well is easily accessible from most Midwestern and plains states. Midwest Academy offers a structured environment that provides students with a state-of-the-art computer curriculum and emphasizes qualities such as responsibility, accountability, values, and respect. Horizon Academy is surrounded by beautiful mountains, sand dunes and expansive stretches of untouched arid land in Southern Nevada. Horizon Academy provides the perfect setting for students to feel free from the clamor and negative distractions of the fast-paced life and environment that most are leaving behind. Students progress at their own pace under the guidance, supervision and encouragement of the staff, while working on the latest computerized learning courses in order to provide a custom education to each student. While the location in the desert is quiet and tranquil, Horizon Academy is easily accessible from all of the western United States. Darrington Academy is nestled in the southernmost portion of the Blue Ridge Mountains in a quaint little town located about an hour north of Atlanta. The climate provides an opportunity for students to experince all four seasons without getting too hot in the summer or too cold in the winter, and the surrounding mountains offer a multitude of year-round outdoor activities. Darrington Academy provides a structured environment with extensive supervision to a select group of students in order to help them progress academically and personally, so that they can gain personal confidence, leadership skills, and go on to success as adults. NOTICE: Portions of the above article were excerpted from "WWASP Resource Catalog"
property of World Wide Association of Programs. is an excellent aid for parents. click the link below and fill out the form. as soon as your request is received.